There were approximately 5.7 million Americans of all ages living with Alzheimer's dementia in 2018. For people age 65 and older, there were 5.5 million and for those under age 65, there were 200,000. Almost two-thirds of Americans with Alzheimer's are women. 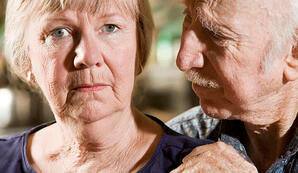 Here is a list of the most common symptoms of dementia. If you or a loved one have a number of these symptoms of dementia that aren’t improving, it is recommended to schedule an appointment with your physician to rule out or diagnose dementia. For more information about Alzheimer’s dementia and how to best care for someone living with Alzheimer’s, contact www.accessnursing.com, or call one of our offices today — 212-286-9200 (New York) / 201-217-0707 (New Jersey).